I love Avon naturals body spray. I purchased this spray just for the light scent. It's not strong like perfume so if I just wanted to smell good then I spray some one and it will last a few hours. My daughter is 8 and she likes it too. I don't mind her wearing it because its just a light body spray. Great for stocking stuffers too. I love these sprays a lot. I use them on myself, but I also spray them around my house and I keep a bottle in my car to spray my carpets too! There is tons of scents to choose from and I have yet to find one that didn't smell really good. However, the scent doesn't stick around for long and I get a little upset when I find my favorite ones discontinued. Just like the shower gel, this smells nice, but doesn't last at all. I put several sprays on when I put on my face in the morning. I put it on my skin, a little in my hair, and on my clothes. The scent is gone within an hour.I still use it all the time, though. I poured some in my febreeze bottle because I love the scent so much. I just wish it would last. The sweet scent gets the taste buds rolling. Each of these scents has a matching lotion and shower gel. Its a light spray, not too heavy, but enough to smell. They really do get the taste buds rolling as good as they smell.My fiance loves raspberry. All I have to do is spritz on a little of the Raspberry scent, and he is ready for romance. Avon - did it again- refreshing Naturals Body Spray! I love all the scents that Avon has provided with the Naturals body spray!! It smells wonderful and comes in so many scents I can select the one that suits me that day!! It comes in an easy spray pump -goes on quickly and dries quickly. I use it right after the shower on my damp skin and find that the smell seems to soak in and last a little longer. When I used to just spray it on dry skin I found that the scent did not last nearly as long. Avon also makes complimentery body washes and body lotions. When you use all three together the scent is not overwhelming but seems to last throughout the day. I recommend this product but would recommend that you use it with the complimenting shower gel or lotion - or both!! Your skin smells great, feels moisturized but not sticky, lasts all day, comes in a lot of different scents and has the great economical price tag that Avon continues to provide. Avon Naturals Body Spray comes in a wide variety of scents to appeal to your senses. There are florals and fruit scents and everything in between. They are so light and refreshing, they are great for everyday use and can be used several times a day. They are so light that you can combine several scents to make your own unique fragrance. I keep mine in the refrigerator. There is nothing more refreshing on a hot day than a mist of Natural Body Spray! It cools and refreshes the skin and is a great pick me up! They are a great value for the money and Avon is always offering some type of sale on their products. They are great to go along with the matching shower gel and body lotion for a layering effect. I would not recommend using it on sensitive or irritated skin or before sun exposure as it can cause discomfort. 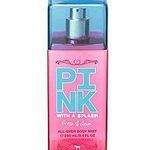 I have used these AVON products for many years, they are the best body sprays out there. Avon Naturals Body Sprays are smell sooo good! I love collecting the different scents and then pairing them with the matching body washes and lotions. There is one for every mood and are great if if you love sweet smelling sprays. I love anything fruity! My favorites would have to be the Vanilla and the Peach. I also have Pomegranate and Mango, Papaya and Kiwi, Juicy Watermelon, and Red Rose and Peach. They are constantly coming up with new scents and at such low prices its great to stock up on them. Okay, well this perfume is ; 1. Good Scent [long time scent] 2. not too "Over eggxageration" 3. 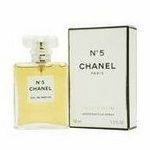 Good for Any age Okay thos perfume has a good scent because it just smell good. i have a bottle , my sister ha a bottle and there are about 2 ecxtra in the house it has a great smell its OUTSTANDING , i love how it smells , it is ideal for any occasion. for school, date, a run at the park , or even a party. ! Its not eggxageration becvause it doesn't have a deep scent , its light flowing scent. 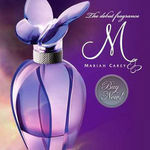 if you put it in the mornig it stays in your cloths and you smell good for the rest of the day. It lasts long with out haveing to put a lot. its good for any age really my mom sells AVON diffrent woman ages buy the same scent of perfume . they are any age from 9 to even 50 ! its great , i love it because it makes you feel fresh , My personal experience is that i put it on everyday in the moring to go to school , i have PE first thing && after that i still smell good. Its Great, i recomend you this product ! Avon naturals BODY pomegranate & mango refreshing body spray Avon naturals pomegranate & mango body spray is delightful and not overpowering. I bought a purple Avon naturals body (refreshing in cursive) body spray which was acidy and I disliked it very much. It felt like a stinging fruity vinegar spray. Normally I like Avon products overall, but when my son's girlfriend gave me this pomegranate and mango 8.4 fluid oz. bottle I had misgivings since I had used & discarded the purple one. I like this one very much and should have made a polite complaint and received a different bottle in replacement. I do not like the Avon Rep being responsible if you do not like it and she was an AVON rep and I did not want to cause her any hardships over it. So for this flammable made in the United States product; I suggest the version with real extracts from mango and pomegranate and avoid a purple looking one. Be aware that it may discolor fabrics, so do not spray directly on any delicate materials.